Lubrication is the key to protecting your engine and keeping your vehicle running. This is true for all vehicles and it becomes even more imperative when it comes to racing vehicles. The following information can help you understand racing oil a little better. You already know that lubricants are created to protect and keep the engine safe. Yet, racing engines face many more dangers, and work under extremely demanding conditions. That is why they require a higher level of protection and more enhanced care. Racing motor oil is designed to offer that. However, it is also important to take into consideration that not all racing vehicles require the same kind of protection. Some demand more coverage in some areas while others demand more protection in others. This all depends on the type of race vehicle that you own. Drag races and circle track races are two of the most popular type of car races but there are numerous types of car races from monster trucks to solar car running, kart racing, dirt road racing and road rallying there is an incredible variety of car races and race cars. Each type of car race has its own rules, conditions, and the settings and that means that each type of race car also has its own requirements and engine specifications. That is why there is a variety of racing oils that focus on the different aspects and needs of each type of race car. 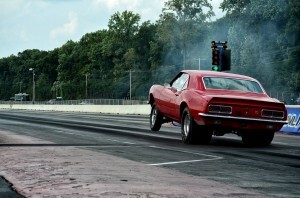 A drag race vehicle does not have the same requirements that a circle track car and a road rally race will place different demands on the engine than that of a dirt road race. Selecting between different motor oils can be a challenge because of all these differences but it isn´t as difficult once you understand the basics of racing engine oil. First, lets be clear on this, contrary to popular belief, not all racing oils are synthetic, therefore quality is something you must focus on no matter what type of racing oil you require. AMSOIL has the ultimate products when it comes to racing care for your vehicle. They have some of the best racing motor oils and carry different varieties to match the needs and demands of your engine. You can select the right one through the AMSOIL online store or you can contact Green Spring Tractor directly at (717) 776-4040. Racing oils are usually made up of 70% to 90% base oil the rest is made up by the additive package. The additive package is what differentiates racing motor oil from regular oil and from other types of racing motor oil. Drag racing oil has a more resistant anti-wear packages, lower viscosity and less heat protection since it isn´t as necessary for this racing application. While circle track racing demands truly effective heat coverage and ultimate performance delivery. The additive package is what allows racing oils to provide just what the racing engine needs based on what kind of performance it must give, whether it is short bursts of full speed or more prolonged resistance racing. For example AMSOIL´s DOMINATOR® 10W-30 Racing Oil is the ideal racing motor oil for drag race engines that have a oil grade requirement of 10W-30 because it provides immediate friction protection and outstanding wear coverage. Yes, racing oil provides what a racing engine needs but its properties could actually be harmful to your regular car engine. Even though racing oils work wonders on highly demanding circumstances they are not created to perform well under regular conditions. For one, the thickness of traditional racing oils creates a lubricant that is much too viscous to be able to lubricate efficiently under regular conditions. Also, street use cars get oil changes much less frequently and therefore the motor oil for your common use vehicle contains more detergents and cleaning additives to ensure the oil stays clean. However, racing engines are maintained very regularly and oil changes are made impeccably often, that is why racing oils rarely need to have cleaning additives. Whatever your lubrication needs may be, whether your vehicle is just used for going to work or if your racing car needs oil for the best performance, make sure you use quality synthetic oil. AMSOIL offers the ultimate protection in every application. Check their online store for a wide selection of synthetic oils each designed with every type of engine need in mind. You can also contact Green Spring Tractor directly at (717) 776-4040 and let them help you make the best selection.